Single-family homes offer the investor an opportunity to borrow large loan-to-value loans at fixed interest rates for long terms. Lenders will loan 75-80% of the purchase price at 5.5% to 6.5% interest rate for thirty years. Compare that with other popular investment alternatives like precious metals, commodities, stocks, and mutual funds and it will be hard to find financing available at all. There may be some short term, one-year, loans at a floating rate tied to prime plus with no guarantee that it will be renewed. Some of those loans require you to have a 50% margin of equity and if the value goes down, you’ll have to put up additional cash or be forced to sell. The advantage of having long-term mortgages is that an investor could find the optimal time to sell the property instead of needing to sell it because the term is due, and no other financing is available. Supply and demand cause the real estate market to be higher and lower and a long-term mortgage provides options to sell when the price is optimal. Single-family homes enjoy distinct tax advantages. If the rental or investment property is held for more than 12 months, the gain is taxed at lower, long-term capital gains rates rather than ordinary income rates. Another advantage of rental homes is that the improvements can be depreciated over a 27.5-year life. This is a non-cash deduction that reduces income and shelters income. The accumulated depreciation taken over the life of the property is recaptured when the property is sold. Since rental homes provide income that other investments may not, the tax would have to be recognized on the annual income. IRS allows normal operating expenses like interest, property taxes, insurance, repairs, and management to be deducted including the annual depreciation. Rental and investment property are eligible for tax-deferred exchanges to avoid paying tax at the time of disposition. Real estate also enjoys stepped-up basis which means that when an heir inherits a property, instead of having a potential gain from the value the decedent had purchased it for less depreciation taken, the heir’s basis becomes the fair market value at the time of death. All potential gain may be permanently avoided. Appreciation is a much-anticipated benefit of real estate because value tends to go up over time. Another big benefit is the control that an investor has with rentals that is not available with other investments like stocks, bonds, or commercial real estate. It takes a relatively small amount of cash to control the entire investment in a home that wouldn’t be available in other investments without partners or publicly traded companies. Single-family homes are an investment that homeowners understand because they are essentially the same as the home they live in. They’re used for rental purposes but the maintenance is the same, the service providers are the same, and the neighborhood is the same. 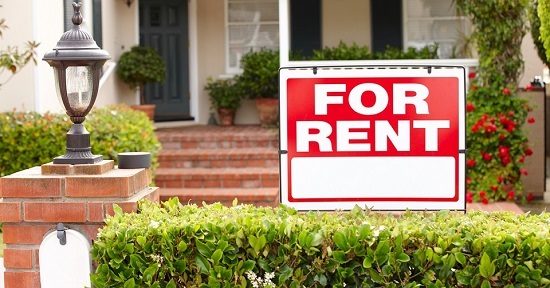 Most homeowners understand rentals far better than alternative investments. Contact me at (410) 715-2020 if you’d like to know more about rental property.